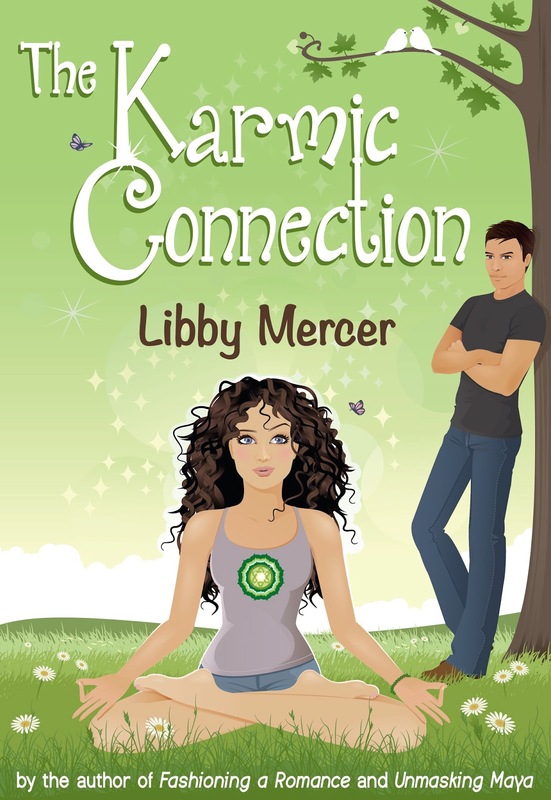 It's great to welcome author Libby Mercer back to MBB again on the publication of her New Age romance, THE KARMIC CONNECTION. Like Libby's earlier novels, it's a sweet romance with plenty of tension and sizzle. She's stopped by today to tell us all about it. I've always been a writer. Wrote my first "book" at age seven - or at least the earliest story I wrote that's still in existence was penned by me at age seven. I've gone through periods when I had stressful, all-consuming jobs and I didn't do any creative writing, but aside from those times, writing has always been a constant in my life. I love it. I wish I had more time to write these days, but now that I'm publishing, I find that the marketing end of things takes up most of my time. What are your preferred genres for writing and reading? For writing, my preferred genres are chick lit and romance. I do like the idea of expanding into different genres at some point, but no plans to do so just yet. For reading, I'm sure it'll come as no surprise that I love reading chick lit and romance. I just finished Marian Keyes's new book, The Mystery of Mercy Close, and I highly recommend it! I recently read Gone Girl by Gillian Flynn for one of my book clubs and I can't believe how much I loved it. It's about as far from chick lit and romance as you can get (nail biting psychological drama, crime/suspense) but I tore through that book in no time at all, and then I downloaded Ms. Flynn's other two. The other books were just as good, and I'm keen to find some similar authors who write gritty novels. Don't think I have the chops to attempt to write one though! Do you write according to a daily target or do you go with the muse, when inspiration hits? I'm afraid I haven't been doing any writing at all lately, but when I'm actively writing, I usually set daily targets. Despite being an artsy type of person, I love charts and graphs and I'm actually very competitive - even when it comes to myself. I get such a thrill out of breaking my own records. Can you describe THE KARMIC CONNECTION in a tweet sized sentence? The universe has a twisted sense of humor. Why else would it be so dead set on pairing up a cynical Wall Street guy with an earthy yoga girl? Big changes are afoot in my neck of the woods. Later this year (possibly during the summer) I'll be releasing the first of my chick lit novels as Anna Garner, which is my real name. My chick lit novels are longer, and although they both have romance in them, they're very clearly not romance novels. So I'll be working on re-branding myself, and hopefully I'll give that first AG novel a good send off. I have a second chick lit novel ready to go, but I'm not sure yet if I'll release it this year or wait until 2014. I plan to take a little time away from the marketing/publishing world to write some more as well. I started the first book of a trilogy last month, and I would love to dig into that one. If the writing flows, I might actually release that one before the second stand-alone chick lit novel. And I've got a fourth chick lit/romance hybrid that actually stalled about halfway through. I really like the story, though, and I hope I'm able to resurrect it. If I'm able to do this, I'll release that one as Libby Mercer. Lots to think about and lots to work on. Thank you so much for having me on your blog today, Maria. I love talking about my writing almost as much as I love writing! For Lorraine Jameson, Luna Wellness Center was a beacon of solace when her life was falling .apart, and she can't stand the way Adam's toxic energy is poisoning the peace. He embodies everything negative about the life she discarded eighteen months ago. Despite being fiercely attracted to the arrogant man, she's determined not to let Adam Stowe anywhere near her heart. 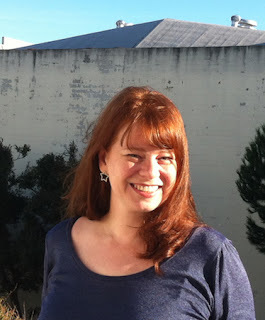 DOWNLOAD A SAMPLE OF LIBBY'S WORK ABSOLUTELY FREE! I loved reading your answers to Maria's questions Libby! Thanks for sharing! Congratulations on the release and all the best! Good to see you over here. As always. Great interview Maria I loved your questions to Libby. Nice answers too. Congrats on your release I wish you many sales! Karmic Connection sounds like an entertaining read what with both types not being the other's favourite. Hi Tash, great to see you over here. You need to sit down and give that book your full attention and you'll be so glad you did. It's a different kind of read, all right. Congrats on your release, Libby! I've been reading and really enjoy Lorraine and Adam's story. Love your writing style, your voice is so unique! I'm so glad you enjoyed the interview and thanks so much for your well wishes!! I loved Maria's questions too. What a great variety. Thanks so much for the well wishes!! Thanks for your kind words. :-) I love writing romances where the characters are at odds from the beginning. Enjoyed the interview, Maria and Libby! Wall Street guy and yoga girl? Hmm...Fierce attraction to an arrogant guy...the sparks will fly:). Sounds like a great book. Love the yoga connection. Wendy, you're very welcome. Thank you for coming over. Edith it is definitely a fun read. Yes, Maria, the possibilities are endless. It's a different kind of read for sure. Age 7! Huzzah. Now there's a writer who has put in her 10000 hours. :) love the book covers! my friends, since if like to read it next my contacts will too. I love your book covers too, Libby. Chick lit must be a lot of fun to write.